Belfast City Council has assured east Belfast residents that an application for a new Premier League-standard football stadium in the area will be subject to all relevant planning policy considerations before a decision is made. It offered the assurance to concerned householders living close to the proposed development site at Blanchflower Playing Fields, off the Holywood Road, after many received letters claiming the council has failed to go through some of the legally required processes in order to “quietly get the matter approved” – an allegation the local authority denies. Earlier this year the council submitted revised plans for a new 510-seat football stand and clubhouse with new standing terrace and toilet blocks at the site. The application hasn’t yet come before the council’s planning committee for consideration, but an anonymous letter delivered to residents in the area has left a number worried about what’s going on. It says the application is for “a massive increase in the facilities” and claims that it will “devalue properties” and “reduce the quality of the local environment”. The letter writer, who says their job would be in jeopardy if their name became known, insists the plan should have been treated as a major application and been subject to a period of “community consultation”. The three-page letter also alleges a “massive conflict of interest” as the council is the land owner, applicant and the planning authority that will make the decision on the application. A number of residents who recently received the letter contacted the News Letter saying they fear the application could be the first phase of a much larger stadium development. They are also worried about the potential impact of big crowds on match days, additional traffic, parking problems and the possible detrimental effect on house prices. A woman who lives just off the Holywood Road added: “Who wants to live next door to a football stadium? This has always been a quiet residential area. If they want to build a stadium they should be putting it somewhere like the harbour estate away from people’s houses. 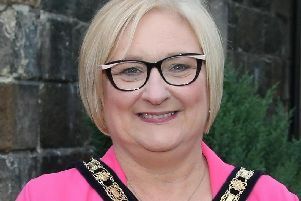 Responding to the claims made in the letter, and the residents’ concerns, a spokesperson for Belfast City Council said the application was advertised in two daily newspapers. “While neighbours were notified of the original application, the new application is for a different site area and does not abut any properties where neighbour notification had to be made,” she explained. “In 2014 Harland and Wolff Welders FC submitted a planning application to upgrade the facilities at the Junior Stadium at Blanchflower in order to meet Premier League standards. In 2016 the council committed funding under its Belfast Investment Fund to this project. The council has been working with H&W to develop the project and during this process the size of the main stand has been reduced (from 900 seats to 510) along with a number of other minor amendments. Council therefore submitted a new planning application earlier this year to reflect these revisions. The council is also the land owner and is delivering the project. The spokesperson stressed that the plans can be viewed by members of the public on the online planning portal – epicpublic.planningni.gov.uk – or by calling into the Planning Service reception at the Cecil Ward Building in Belfast. No date has yet been set for the application to come before the council’s planning committee for consideration.